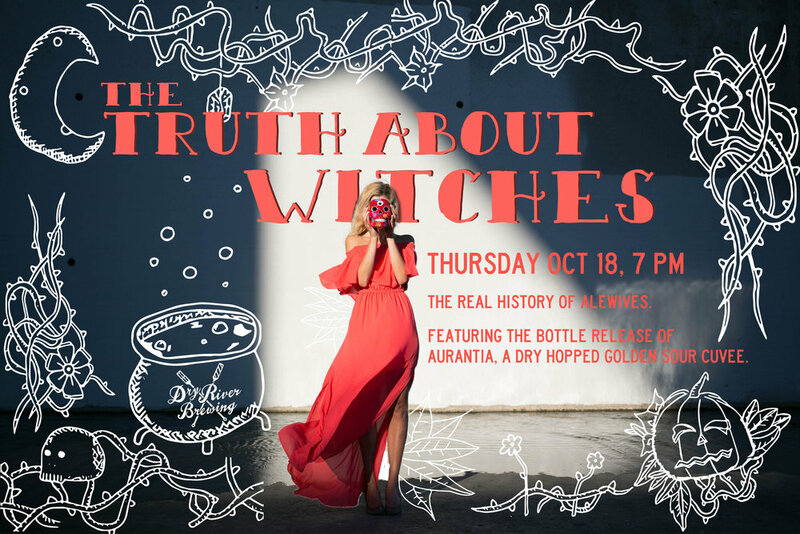 Join Las Brujas of Dry River Brewing as we talk about the dark history of women, witches, & beer. We’ll discover why alewives were deemed sorceress under the charge of witchcraft, and why they resemble our modern day witch costume. Dress up, wear your hats, bring your brooms - best dressed witch wins a potion from our cauldron! We'll have some actual witches joining us for the night for tarot card reading, limpias, healing crystals, along with some amazing homemade goodies (tinctures, oils, baked vegan goods, jewelry). Don't miss out. And there's more! We will also be releasing bottles of Aurantia, a dry hopped golden sour cuvee starting at 5pm. A VIP ticket is the only way to pre-order a bottle, so get those tix NOW.